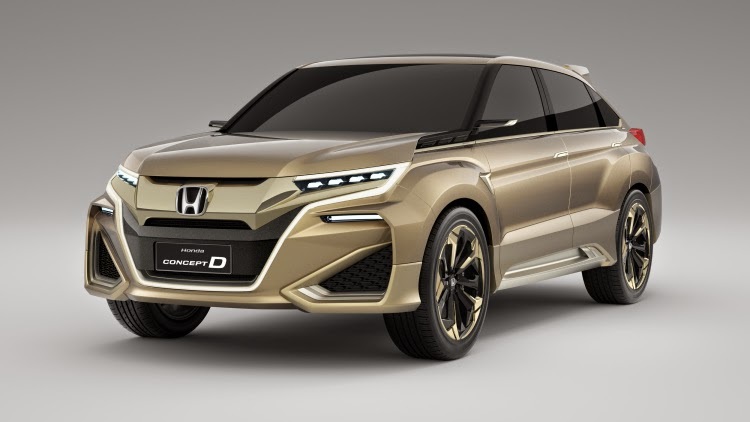 OTONEWS - Honda expanding the model lineup Sport Utility Vehicle (SUV) and sedan in China by introducing the Concept car D. It aims to achieve the target sales of Honda in the Bamboo Curtain country to peg the rate of 950,000 units per year through Guangqi Honda and Dongfeng Honda. In the event the Auto Shanghai 2015, some time ago Honda has showcased sized SUV models called Concept D. In addition, Honda is also showing City who made his first appearance in China as well as updates from the CR-V.
Concept D is complementary SUV Honda in China after a SUV like the CR-V, compact Vezel and his sister, XR-V.
Head of China Division of Honda, Joji Kuraishi said it developed the Concept D as luxury models for Chinese consumers. "Concept D offers the sensation of driving a high-quality, spacious interior and Funtec our advanced technology," he said. So curious about what shape it will have when this concept has been produced. No Comment "This Car Will Be Luxury SUV Honda"